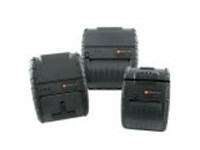 • Charging options include external charge contacts, AC adapter or 12V vehicle cigarette lighter adapter. Charge both the printer and mobile computer at the same time from a single device. • Rugged and reliable, the PrintPAD CN3/ CN4 and PrintPAD CN3e/CN4e were engineered throughout to withstand even the most punishing portable applications. This series is the industry’s only PrintPAD- type device to publish a 6 ft. drop specification. 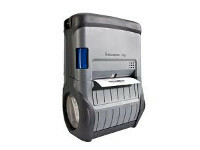 The PrintPAD CN3/CN4 and PrintPAD CN3e/CN4e integrated printing systems offer mobile workers the convenience of a portable thermal printer and mobile computer united in a compact and ergonomic, rugged and reliable unit. 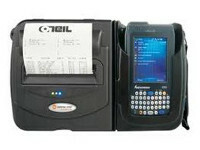 This PrintPAD series was designed for use with Intermec’s CN3, CN4, CN3e and CN4e mobile computers. 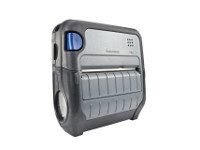 The sleek design of the PrintPAD allows users to conveniently and securely carry their mobile computer, communicate with the printer, as well as charge both the mobile computer and the printer, all in a single integrated package. 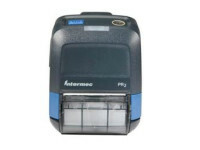 This innovative one piece printer system combines an enhanced 4” wide thermal printer, the 4te, with an embedded communications charging cradle designed for use in a number of applications including route accounting, direct store delivery and field service.